The riverside township of Franklin has lots of old-fashioned Tasmanian charm, from the quaint historic buildings and streetscape to the pretty wooden boats floating on the Huon River. 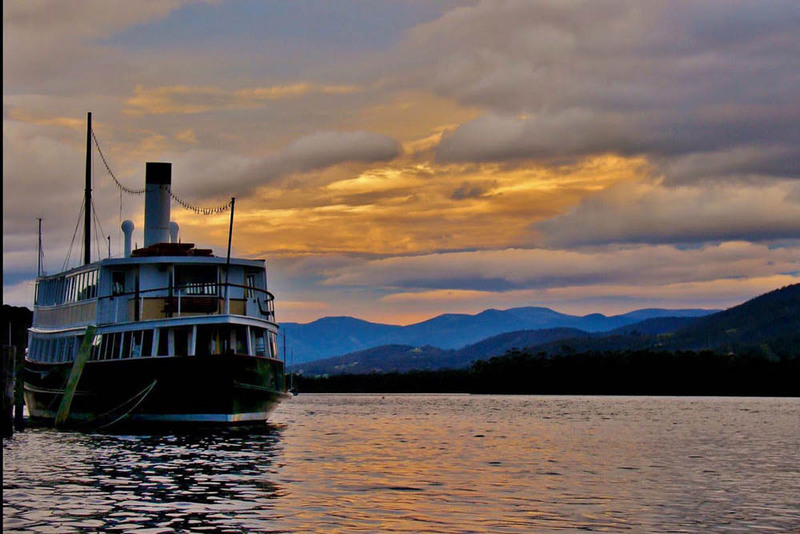 Located in the ultra-scenic Huon Valley, Franklin is the oldest township in the region and sits quietly on the western side of the beautiful Huon River. Franklin is vibrant and charming, with a real village feel. Quaint old buildings and cottages line the main street, many with front gardens full of flowers and fruit growing on heirloom trees while quiet lanes lead up to the hills behind the town and offer wonderful views of the township and river below. Franklin also serves up a feast of local food and produce with a good selection of eateries including riverfront cafes and restaurants. Roadside fruit stands sell fresh local apples and pears - a reminder of the Huon Valley's rich apple-growing heritage. In town, the Palais Theatre is a lovely example of federation style architecture and hosts a range of events, including the monthly Huon Valley Growers and Makers Market. There's a strong creative community in Franklin too, and their locally-made wares can be found in the town's art and craft stores. Wooden boats are also big here, attracting keen builders and boat-lovers from across the world. Franklin offers many places to stay, from quaint Bed and Breakfasts and holiday house rentals to local hotels and cottages. Franklin is a 40-min (45 km) drive south from Hobart.